The Basic English Society, Japan, is going to have a meeting in Tokyo. Time: 20 November, from 10:00 till 16:30. Place: Izumi Eifuku Chiiki Kumin Center, Eifukucho, Tokyo. Part 1. Reading The Grammar of the English Language, a book by Randolph Quirk and others. Part 2. Reading the book Learning Learning Basic English by I. A. Richards and C. Gibson, and The Bible in Basic English and the Bible in other forms of English. Hands-on training of writing with Basic words like "change," "cheap," and "cheese." Graded Direct Method, or GDM, is a system of teaching language by step-by-step way, making thing-word connections. It was made up first as a way of teaching Basic English, at Harvard University, by I. A. Richards and Christine Gibson. So I make use of the name "Richards-Gibson System." The Japanese group of language teachers are going have a training day for starters on 23 November at Bentencho Shimin Gakushu Center, Osaka, starting 13:00. There will be a talk and hands-on training. The talk will be about the theory which the system is based on. The training will be seeing an example by an experienced teacher and taking part in the teaching. Hans Christian Andersen was a writer from Denmark, who put out a number of beautiful stories. They were in Danish language, but put into other languages like German, English, Japanese and so on. "The Little Match Girl" was one of the noted stories by Andersen, with his love for little ones and his feelings on troulbes in the society put in a beautiful writing. I put the story into Basic, in 2003, as a part of my training for writing Basic English. Even in Basic with a very limited number of words, you will see Andersen was a great writer. Mr. Ohyama, one of my Japanese friends, kindly made it public in his online pages. It may be a bit early, but I have a hope that you will have, with this Christmas story, a happy Christmas. Hans Christian Andersen, "The Little Match Girl"
The Basic English Society, Japan, is to have a regular meeting tomorow in Tokyo. They will be happy to have anyone interested in Basic or in the society being present. The Bible in Basic English, making comparison with other English Bibles. After that, they will have a time for hands-on training of writing Basic English, using words like "change," "cheap," and "cheese." Time: 10:00-16:30 Sunday 18 December 2005. Place: Shukai Room 4, Eifuku Izumi Chiiki Kumin Center, 3-minute walk from Eifukucho Station, Keio Inokashira Line. I am a lover of music, so I am happy whenever talking or writing about music. Basic English, however, do not have much words for music. Instruments of music, for example, like guitar, bass, drums, harmonica, saxophone, flute, clarinet, bassoon, trumpet, trombone, tuba, viola, and cello are not on C. K. Ogden's list. Old books from the Orthological Institute, which was Ogden's organization, did not have much about music. Books by I. A. Richards, in addition, did not have much about it. Those two men, though they were experts in a number of different fields and with great knowledge of arts, did not seem to have much interest in music. So it is possible to say that music is a "road not taken," one of the less walked-on fields, for anyone interested in Basic English. And there is much to do with writing about music. Writing in Basic about music has to be started by someone. It may be me. If you are writing for general readers who have some interest in music, it will be better for you to keep your statements within the limit of Basic words and Ogden's international words. If you are writing online, you may put some pictures or sounds as helps to give a better idea. But it may be necessary for you to have deep knowledge of Basic words. If you are writing for music lovers, players or song-men, you may make use of special words which you see in school-books of music. It is possible because music from the West has been, in a way, international. Let me give a bit of backdrop knowledge. Chief bases of music from the West were formed in Italy, hundreds of years back. Italian men of music like Palestrina or Monteverdi made up the chief theory and examples of music. Other Italian music-writers made journeys all over Europe and got positions in Austria, Britain, France and Germany. So Italian became THE language of music. German men of Music like Johan Sebastian Bach and Austrian men like Wolfgang Amadeus Mozart made journeys to Italy, and took time learning Italian music and language. Mozart was specially good at Italian, and he made long song-plays in the language. Players and writers of music still make use of Italian words like do, re, mi, allegro, and andante. Writers and players of music, in addition, generally make use of more and more English words now. Japanese players of music, for example, never make use of Japanese music words like ha, ni, ho, he, to. They make use of English, or German, words and signs like C, D, E, F and G. They will not have a hard time facing English words with the same senses. In the coming year, I will give more examples and suggestions for writing about music in Basic English. Horns are hard, and sometimes pointed, things on the head of an animal like goat or sheep. They are used when the animal makes a fight. Horns are sometimes taken off the head of a dead animal and used for other purposes. If you make a horn hollow and have it upside down in your hand, you may make use of it for drinking. If you have the pointed top cut off the hollow horn and have the horn upside down, you may make use of it to put gunpowder into the small space in your gun. A hollow horn without a top was used as an instrument of music. You put the narrow part on your lips, give a push of air into the horn, and your lips make quick, waving moves, making a sound, which gets loud through the horn. These horns were used by caretakers of sheep. Men of music, working on horn-playing, made new and longer horns, by and by, of wood or metal. They made a discovery that the best metal for horn-making was brass. Metal horns were played by men on horseback and postmen on carriages. Those horns got longer and had new apparatus for playing. They had developments into new and different forms, like french horn, trumpet, trombone, tuba. Inventions of new brass instruments like cornet, flugelhorn, tenorhorn, bariton-horn and so on gave births of brass bands in Europe. In serious writings on music today, these are brass instruments; in everyday talk or writings on music, they are, after all, horns. One of the best and most noted men in the history of jazz music is a trumpet player named Miles Davis. 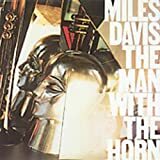 A selection of his recordings made public in 1981 was The Man with the Horn. Thousands of years back, someone in Asia sent a breath of air over the top of the hollow stem of a plant, and a sound came out. Being interested in the discovery, that person, or someone with the knowledge, made other attempts on stems long and short, getting low and high sounds. That was the invention of simple whisltes, not noted in history. Years went by, and someone in Asia made a discovery that, by opening and shutting the hole at the end, a whistle made of a plant stem gave different sounds, low and high. More attempts were made with more holes in the whistle, or pipe, and that was the start of music pipes like shakuhachi, Japanese pipe played in the upright position, and flutes, pipes played in the sideways position. There were other inventions. The most important one is a more complex whistle made with one or two small bits of a plant stem, giving out a harder and clearer sound. This apparatus, as the sound-maker, was put at the upper end of a pipe, and it became other sorts of pipes like Japanese sho and hichiriki. Those pipes made journeys from China through the Silk Roads to Europe. Because it was hard in Europe to get the stems of water-plants, new pipes were made of wood. They are woodwinds. There were more inventions in Europe: more holes, metal keys, and new designs for better playing. Today, there are woodwind instruments like clarinets, oboes, english-horns, bassoons, and so on. Though flutes and saxophones are made of metals, they are named woodwinds because of their system and history. In everyday English, those woodwinds are, after all, pipes. I said, in my note on pipes, that the music pipes are woodwinds. They are named so because they are made of wood and played with breaths of air, a sort of wind, coming out of the mouths of the players. Those pipes, and horns, are wind instruments. Brass instruments, nearly all of them, are played with wind, so there is no need to make use of words like brasswinds. Music for wind instruments are wind music. The most noted work of wind music in the history is probably Night Music for 13 Wind Instruments by Wolfgang A. Mozart. Bands of players who are mostly on wind instruments are wind bands. In Japan and the North America, a great number of middle and high schools have their wind bands. They have music for school events and sports events. If your school has that sort of band, it is your school band.